EAFRD support provided to a family farm by the Romanian RDP’s High Nature Value (HNV) agri-environment scheme. The Bangala’s family farm covers around 20 hectares of hay meadows and 80 hectares of grasslands surrounding their sheep and cattle farm. They also graze livestock on 250 hectares of uplands during the summer. Traditional agricultural ways practiced by the family include manual and other non-intensive methods for growing, cutting and storing hay. Flora and fauna thrive in such conditions because they are not threatened by heavy machinery, chemical inputs or habitat loss. 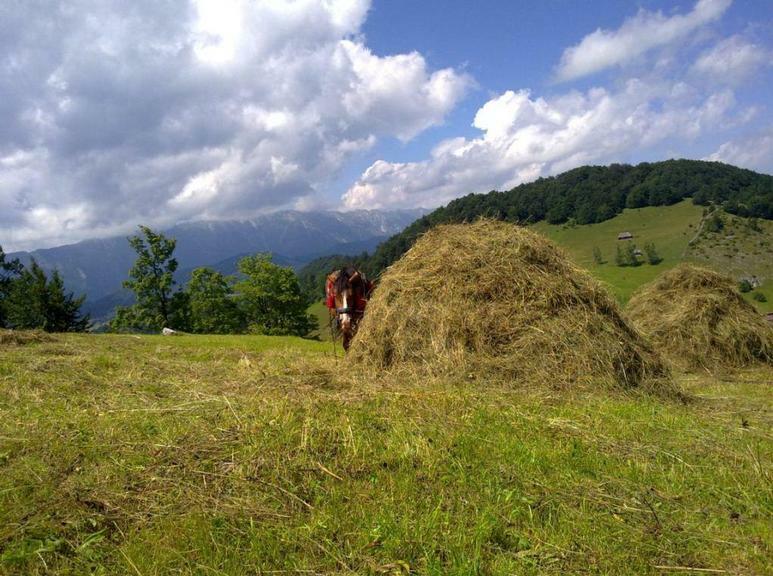 Farm meadows and pastures in Brasov County like the Bangala’s are considered to be some of the most biodiversity rich in Europe. They are eligible for the High Nature Value (HNV) agri-environment scheme provided through Romania’s RDP, which aims to maintain and enhance the grasslands’ HNV characteristics. EAFRD payments are conditional on the farmers carrying out pre-determined environmentally benign agri-approaches over a five year period. A five year environmental management plan commits the farmer to avoid using chemical fertilisers on grasslands. Ploughing, rolling and reseeding of pastures are not possible under the agri-environment contract. Only natural, traditional organic fertiliser is applied and this never exceeds 30 kg/ha of nitrogen. Mowing is controlled and managed to reduce risks to insects, birds, flowers, animals and other species during sensitive times such as breeding, nesting, or pollination periods. Agri-environment payments offer important foundations for the principles of sustainable rural development. 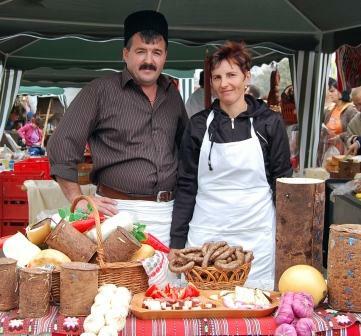 Many thousands of land managers throughout rural Europe combine agri-environmental commitments with rural tourism businesses and/or other developments like the production of local products.